People who enjoy outdoor activities such as hiking or skiing know well about Gore Tex and high-tech membranes. Gore Tex provides lasting comfortable weather protection, you can trust it without doubts. It is a membrane with a microporous structure with great characteristics: it is breathable, waterproof and windproof. In the market you will find shoes, clothes, gloves and a lot of accessories made with this material and others that are similar such as Drop Liners, Triplepoint Ceramic, Microfiber or laminated fabrics. 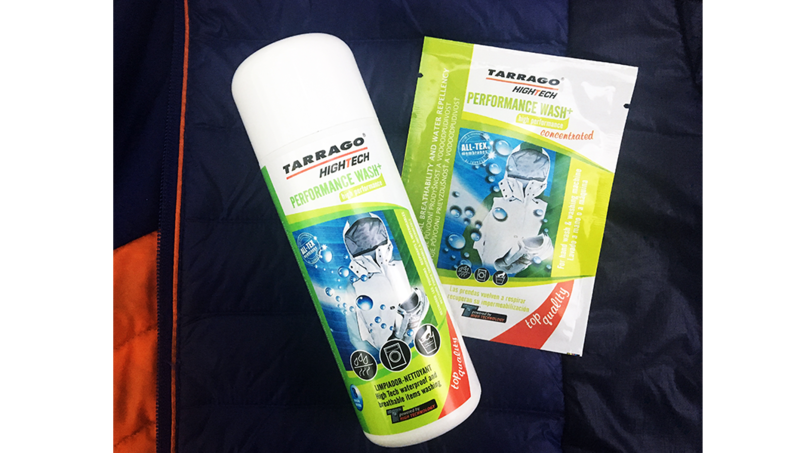 Tarrago has for Gore Tex and for other membranes clothes, footwear, and articles a detergent of new generation: the Tarrago High-tech Performance Wash Plus. This product is specially formulated to clean and restore the original breathability and waterproof properties of clothes, accessories, and articles. Accumulation of mud, dust and other contaminants such as the natural body oils, sunscreen or sweat can reduce the effectiveness of the breathability and the waterproofing properties of these materials. That’s why it is very important to keep Gore Tex and similar membranes clean. How to use the Tarrago High-tech Performance Wash Plus? You only have to apply 30ml (1 cap) for each ½ article in your washing machine detergent compartment or apply it while you hand wash your clothes and goods. After the washing, let the articles get dry (check if the manufacturer indicates if the pieces can be put into a dryer machine, if so, do it! For tents and accessories, mix 1 ½ capsules with 10 litres of warm water, apply the mix to the material, rinse them after with warm water, and let the articles get dry. Depending on the use, it is convenient to clean those clothes, shoes and articles every 20/30 days or every time you notice they are sticky or they don’t repel the water anymore.The detergent is ideal to wash and clean hiking boots and jackets, nylon or synthetic tents, sleeping bags, camera cases, etc. This detergent will eliminate the unpleasant smells and will leave a fresh fragrance instead. So, what do you think? Is it time to wash your outdoor clothes and equipment and recover their breathability and waterproof properties? 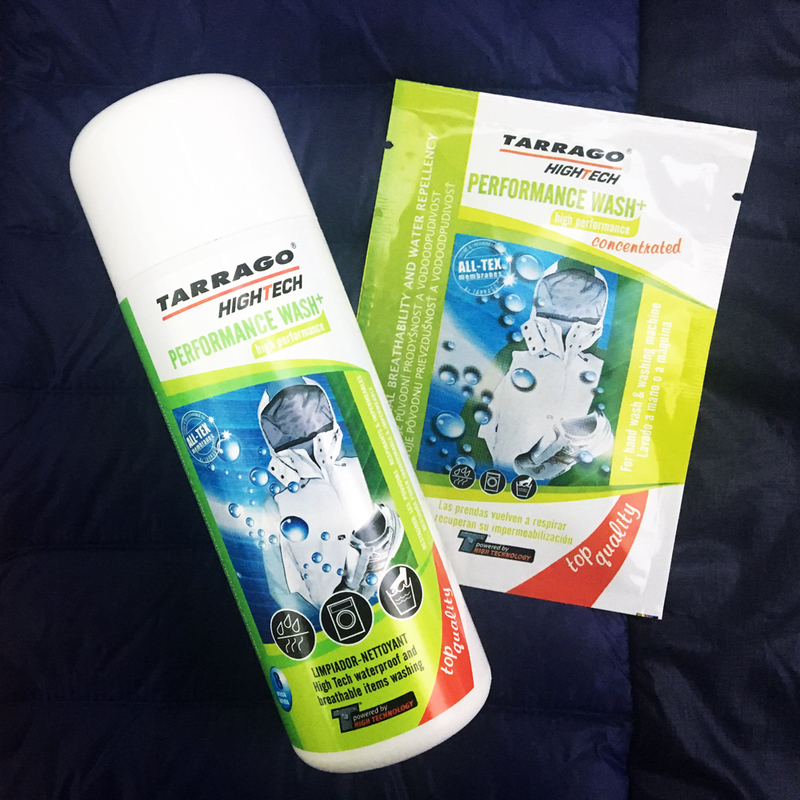 Try the Tarrago High-tech Performance Wash Plus! You will not regret it!